Commercial antidepressants typically take two to four weeks to have a significant effect on a depressed patient. They are also inneffective in approximately 40% of the cases. Finding new drugs for depression that are fast-acting and have more lasting effects is the goal of research conducted by Brazilian scientists in São Paulo State in collaboration with Danish colleagues. Their recent study found that a single dose of cannabidiol in rats with symptoms of depression was highly effective, eliminating the symptoms on the same day and maintaining the beneficial effects for a week. The findings reinforce those of prior research showing that cannabidiol, a component of Cannabis sativa, the plant most commonly used to make marijuana, has promising therapeutic potential in the treatment of broad-spectrum depression in preclinical and human models. The results were published online on June 4, 2018 in Molecular Neurobiology by researchers of the group led by Sâmia Regiane Lourenço Joca, a professor in the University of São Paulo's Ribeirão Preto School of Pharmaceutical Sciences (FCFRP-USP) in Brazil. The first author is Amanda Juliana Sales, who has a PhD scholarship from the São Paulo Research Foundation - FAPESP. The research itself was supported by FAPESP via a Thematic Project, by Brazil's National Council for Scientific and Technological Development (CNPq), and by Denmark's Aarhus University Research Foundation. FAPESP Thematic Project coordinator Francisco Silveira Guimarães, who is also a professor at the University of São Paulo's Ribeirão Preto Medical School (FMRP-USP), stresses that cannabidiol produces neither dependence nor psychotropic effects, despite being extracted from marijuana plant. FAT10 is a small protein with a huge effect. Its attachment to a target protein is a signal for its degradation. FAT10 is a marking system for degradation that seems to be inefficient. In contrast to its biological competitor, ubiquitin, which is recycled, FAT10 is degraded along with its target protein which appears wasteful at first glance. So, why does this seemingly inefficient FAT10-system exist at all? Professor Marcus Groettrup, head of the immunology working group at the University of Konstanz, and his team have been carrying out research on FAT10 for many years. Now they have achieved a breakthrough that made it possible to determine the high-resolution structure of FAT10. This success was enabled through another achievement. In collaboration with Dr. Annette Aichem from the Biotechnology Institute Thurgau (BITg), Konstanz chemist Professor Christine Peter and structural biologist Dr. Silke Wiesner from the University of Regensburg, the team developed a molecular technique to produce stable and highly-concentrated FAT10 with a high degree of purity. As a consequence, the researchers could carry out a structure analysis of FAT10 via x-ray crystallography and magnetic resonance spectroscopy. The results were published online on August 20, 2018 in Nature Communications. The open-access article is titled “The Structure of the Ubiquitin-Like Modifier FAT10 Reveals an Alternative Targeting Mechanism for Proteasomal Degradation.” "We found a mechanism in FAT10 that is entirely different from ubiquitin. This mechanism is very interesting for the entire ubiquitin field,” says Dr. Groettrup. In contrast to ubiquitin with one domain, FAT10 has two domains, i.e., folds that enable the proteins to function. The latest in a series of laboratory breakthroughs could lead to a more effective way to treat the most common brain cancer in children. Scientists from the University of North Carolina (UNC) Lineberger Comprehensive Cancer Center and the UNC Eshelman School of Pharmacy reported results from early studies that demonstrate how cancer-hunting stem cells, developed from skin cells, can track down and deliver a drug to destroy medulloblastoma cells hiding after surgery. Previously, UNC Lineberger’s Shawn Hingtgen, PhD, and his collaborators showed in preclinical studies that they could flip skin cells into stem cells that hunt and deliver cancer-killing drugs to glioblastoma, the deadliest malignant brain tumor in adults. In their new study, published online on July 10, 2018 in PLOS ONE, the researchers reported they could shrink tumors in laboratory models of medulloblastoma, and extend life. The study is a necessary step toward developing clinical trials that would see if the approach works for children. The open-access article is titled “Intra-Cavity Stem Cell Therapy Inhibits Tumor Progression in a Novel Murine Model of Medulloblastoma Surgical Resection.” Dr. Hingtgen said that this approach holds promise for reducing side effects an¬¬¬d helping more children with medulloblastoma. More than 70 percent of patients with average-risk disease live five years on standard treatment, but not all patients respond, and treatment can cause lasting neurologic and developmental side effects. “Children with medulloblastoma receive chemotherapy and radiation, which can be very toxic to the developing brain,” said Dr. Hingtgen, who is an Associate Professor in the UNC Eshelman School of Pharmacy, an Assistant Professor in the UNC School of Medicine Department of Neurosurgery, and a member of UNC LIneberger. A long-term study of patients who received stem cells to treat angiitis-induced critical limb ischemia (AICLI) shows the cells to be both safe and effective. The study, published in STEM CELLS Translational Medicine (SCTM), could lead to an option for those who suffer from this serious form of peripheral arterial disease (PAD). AICLI is caused by an inflammation of the blood vessels that leads to a severe blockage in the arteries of the lower or upper extremities. It causes severe pain and impaired mobility, and can even lead to amputation and death. While endovascular and surgical reconstruction are the mainstream treatments for critical limb ischemia (CLI), these classical treatments are not feasible in approximately 15 to 20 percent of patients. Stem cell therapy is a promising option for these otherwise no-option CLI patients. As one of the promising stem cell therapies, purified CD34+ cell transplantation (PuCeT) has shown favorable short-term results, but prior to this new study no one had looked at its long-term outcome. In the study, published online on April 30, 2018 in SCTM, researchers at Zhongshan Hospital (affiliated with Fudan University) in Shanghai tracked 27 AICLI patients for five years after each had received an intramuscular injection of PuCeT to treat their disease. "The primary endpoint - major-amputation-free survival rate - as well as secondary endpoints such as peak pain-free walking time and the scale of the patient's pain, were routinely evaluated during the five-year follow-up period," said Zhihui Dong, MD, who, along with his Department of Vascular Surgery colleague Weiguo Fu, MD, served as corresponding authors on the study. A team at the Salk Institute has identified a master switch that appears to control the dynamic behavior of tumor cells that makes some aggressive cancers so difficult to treat. The gene Sox10 directly controls the growth and invasion of a significant fraction of hard-to-treat triple-negative breast cancers. Recently, the Salk lab led by Professor Geoffrey Wahl discovered that aggressive breast cancers return to a flexible, earlier state found in fetal breast tissue. 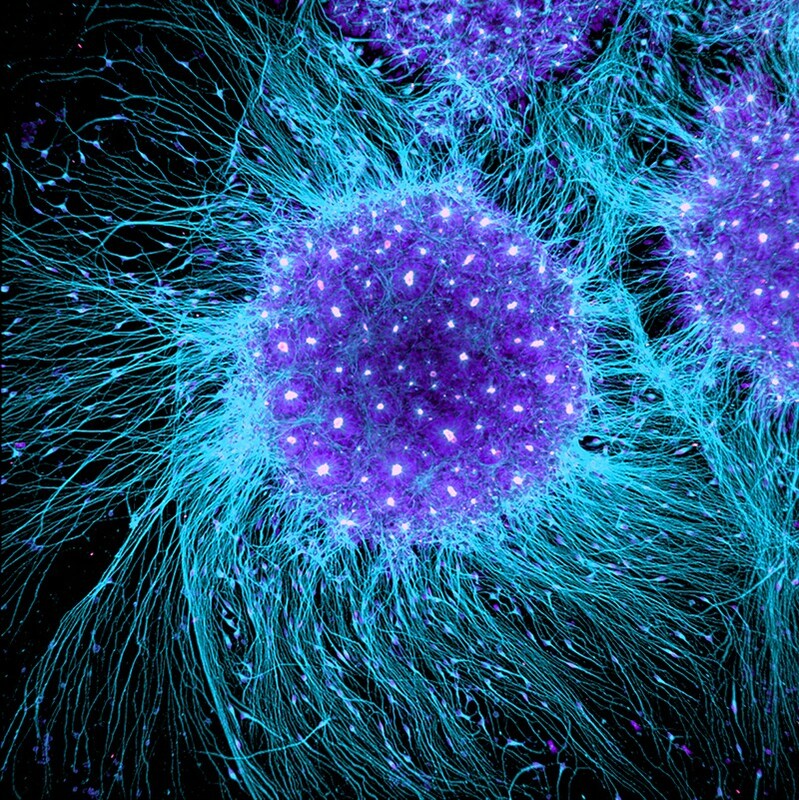 This cellular reprogramming may be the key to cancer's ability to form new cell types, evolve drug resistance, and metastasize to other locations in the body. The new work documenting Sox10's role in this process, which was reported online in Cancer Cell on August 30, 2018, represents a major milestone in researchers' understanding of cancer and could open new avenues for diagnosing and treating aggressive breast cancer, as well as other types of intractable cancers. The article is titled “Epigenetic and Transcriptomic Profiling of Mammary Gland Development and Tumor Models Disclose Regulators of Cell State Plasticity.” "Two things that make triple-negative breast cancers so hard to treat are their heterogeneity--they have many different cell types within a single tumor--and their ability to move around and colonize new areas, the process of metastasis," says Dr. Wahl, holder of the Daniel and Martina Lewis Chair and senior author of the work. For the first time, scientists have used CRISPR gene editing to halt the progression of Duchenne muscular dystrophy (DMD) in a large mammal (dogs), according to a study by University of Texas (UT) Southwestern that provides a strong indication that a lifesaving treatment may be in the pipeline. The research, published online on August 30, 2018 in Science, documents unprecedented improvement in the muscle fibers of dogs with DMD - the most common fatal genetic disease in children, caused by a mutation that inhibits the production of dystrophin, a protein critical for muscle function. The article is titled “Gene Editing Restores Dystrophin Expression in a Canine Model Of Duchenne Muscular Dystrophy.” Researchers used a single-cut gene-editing technique to restore dystrophin in muscle and heart tissue by up to 92 percent of normal levels. Scientists have estimated a 15 percent threshold is needed to significantly help patients. "Children with DMD often die either because their heart loses the strength to pump, or their diaphragm becomes too weak to breathe," said Dr. Eric Olson, Director of UT Southwestern's Hamon Center for Regenerative Science and Medicine. "This encouraging level of dystrophin expression would hopefully prevent that from happening." 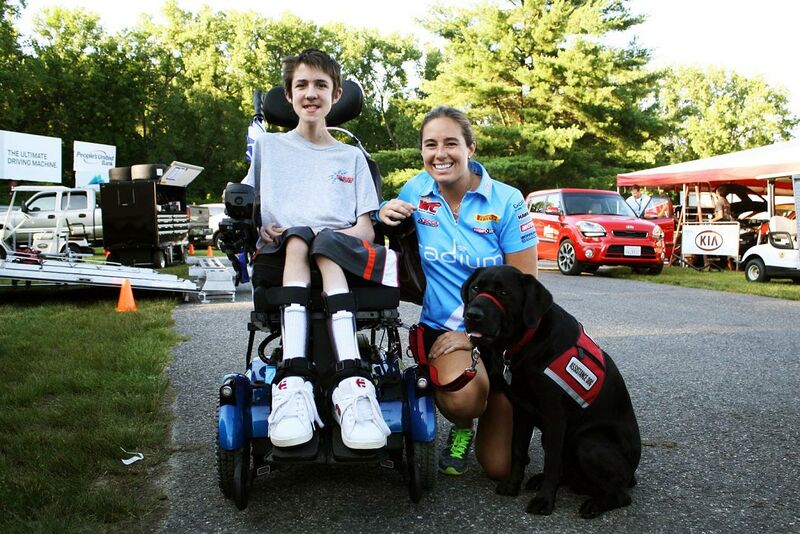 DMD, which affects one in 5,000 boys, leads to muscle and heart failure, and premature death by the early 30s. Patients are forced into wheelchairs as their muscles degenerate and eventually onto respirators as their diaphragms weaken. No effective treatment exists, though scientists have known for decades that a defect in the dystrophin gene causes the condition. The Science study establishes the proof-of-concept for single-cut gene editing in dystrophic muscle and represents a major step toward a clinical trial. Already Dr.
Scientists have determined the DNA sequence of the opium poppy genome, uncovering key steps in how the plant evolved to produce the pharmaceutical compounds used to make vital medicines. The discovery may pave the way for scientists to improve yields and the disease resistance of the medicinal plant, securing a reliable and cheap supply of the most effective drugs for pain relief and palliative care. The breakthrough, by researchers at the University of York in partnership with the Wellcome Sanger Institute, UK, and international colleagues, reveals the origins of the genetic pathway leading to the production of the cough suppressant noscapine and the painkiller drugs morphine and codeine. The seminal work was reported online on August 30, 2018 in Science. 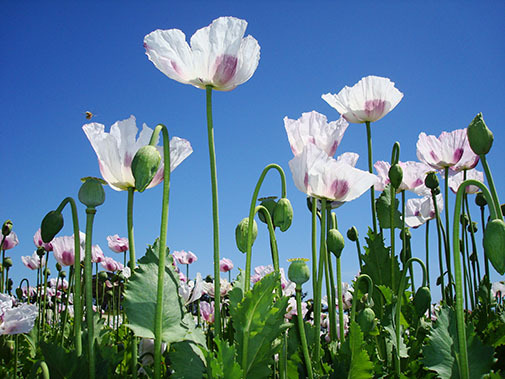 The article is titled “The Opium Poppy Genome and Morphinan Production.” Co-corresponding author, Professor Ian Graham, from the Centre for Novel Agricultural Products, Department of Biology at the University of York, said: “Biochemists have been curious for decades about how plants have evolved to become one of the richest sources of chemical diversity on earth. Using high-quality genome assembly, our study has deciphered how this has happened in opium poppy. At the same time this research will provide the foundation for the development of molecular plant breeding tools that can be used to ensure there is a reliable and cheap supply of the most effective painkillers available for pain relief and palliative care for societies in not just developed, but also developing world countries.” Synthetic biology-based approaches to manufacturing compounds such as noscapine, codeine, and morphine are now being developed whereby genes from the plant are engineered into microbial systems such as yeast to enable production in industrial fermenters. On Thursday evening, September 13, the 2018, Ig Nobel Prize winners will be announced — and showered with applause and paper airplanes — at Harvard University. The winners will be honored for achievements that first make people LAUGH, and then make them THINK. This will be the 28th First Annual Ig Nobel Prize Ceremony. Organized by the science humor magazine Annals of Improbable Research (AIR), in cooperation with several Harvard student groups, it celebrates the unusual, honors the imaginative, and spurs interest in science. Ten new Ig Nobel Prizes will be awarded. The identity of the winners is kept secret until they receive their prize on stage. Genuine Nobel laureates will physically hand the prizes to the winners. These laureates plan to take part in the ceremony: Eric Maskin (Economics, 2007), Wolfgang Ketterle (Physics, 2001), Oliver Hart (Economics, 2016), Michael Rosbash (Physiology or Medicine, 2017), Roy Glauber (Physics, 2005), Rich Roberts (Physiology or Medicine, 1993), and Marty Chalfie (Chemistry, 2008). The theme of this year's ceremony (though not necessarily of the individual prizes) is: The Heart. The ceremony will also include: the premiere of "The Broken Heart Opera,” performed by opera singers and Harvard Medical School cardiologists (The Opera Plot: Children curious to know 'How can you mend a broken heart?' decide that the best way is to first build a heart, then break it, then mend it. They try to do exactly that. ); and the 24/7 Lectures, in which several of the world's top thinkers each explains her or his subject twice — first in 24 seconds, and then, clearly, in 7 words. Scientists at the Stanford University School of Medicine have discovered that ketamine works as an antidepressant, at least in part, by activating the brain's opioid system. The finding overturns previously held beliefs that the drug's antidepressant effects stemmed solely from its impact on the glutamate system. These beliefs led to the widespread use of ketamine to treat depression and spurred the development of glutamate-blocking drugs for use as antidepressants. The new finding also highlights the interaction between depression, pain, and opioid addiction and presents an opportunity for clinicians to reframe treatment approaches for three of the most important public health crises today. The research is believed to be the first to address how ketamine works in the human brain to provide relief from depression. A paper describing the work was published online on August 29, 2018 in The American Journal of Psychiatry. The article is titled “Attenuation of Antidepressant Effects of Ketamine by Opioid Receptor Antagonism.” The article is accompanied by an editorial titled “Is There Really Nothing New Under the Sun? Is Low-Dose Ketamine a Fast-Acting Antidepressant Simply Because It Is an Opioid?" "Before we did the study, I wasn't sure that ketamine really worked to treat depression. Now I know the drug works, but it doesn't work like everyone thought it was working," said Alan Schatzberg, MD, the Kenneth T. Norris Jr. Professor of Psychiatry and Behavioral Sciences, who shares senior authorship of the paper with Carolyn Rodriguez, MD, PhD, Assistant Professor of Psychiatry and Behavioral Sciences. Ketamine was developed in the 1960s and has been used for decades as an anesthetic during surgery. A tiny pest can cause huge losses to soybean farmers. Several top soybean-producing states in the U.S. are in the Upper Midwest. In these states, an insect (the soybean aphid) is a damaging pest. Each year, soybean aphids cause billions of dollars in crop losses. In a recent study, researchers have taken a big step toward identifying new soybean genes associated with aphid resistance. "Discovering new resistance genes will help develop soybean varieties with more robust aphid resistance," says lead author Dr. Aaron Lorenz. "There are very few commercially-available varieties of soybean with aphid resistance genes. Newly-identified genes can serve as backup sources of resistance if the ones currently used are no longer useful." Dr. Lorenz is an agronomist and plant geneticist at the University of Minnesota. Currently, insecticides are used to control aphid populations to reduce damage. But aphid populations that are resistant to widely-used insecticides have been found. Environmental issues with insecticide use can also be a concern. These issues may limit insecticide use in the future. Using soybean varieties that are naturally resistant to aphids is an alternative to using insecticides. "But the soybean aphid is a genetically diverse species. It is capable of quickly overcoming plant resistance," says Dr. Lorenz. "So, we need to identify new sources of soybean aphid resistance." 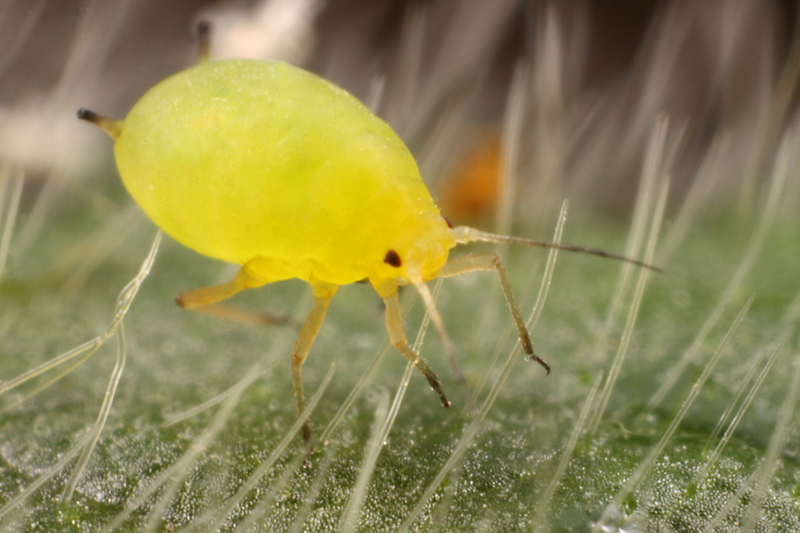 To find previously unknown aphid resistance genes, researchers used already-published research. Thousands of varieties of soybean have been tested for aphid resistance. Genetic information also exists for many of these soybean varieties. Dr. Lorenz and colleagues combined data on existing aphid resistance and genetics. "Our goal was to find which parts of the soybean genome contain genes related to aphid resistance," says Dr. Lorenz.